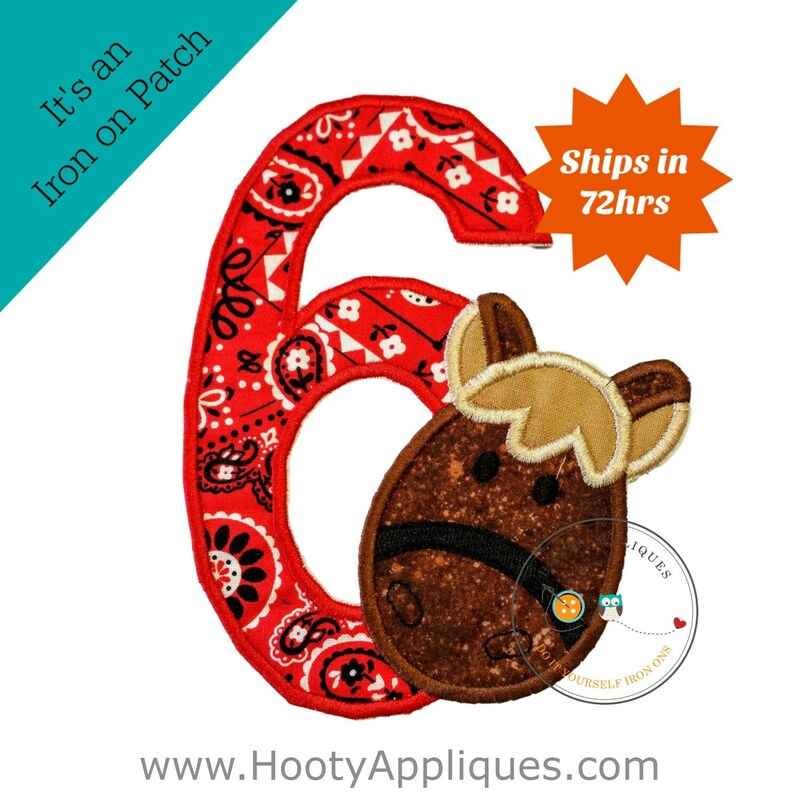 Horse-themed, sixth-birthday, DIY, iron-on applique. 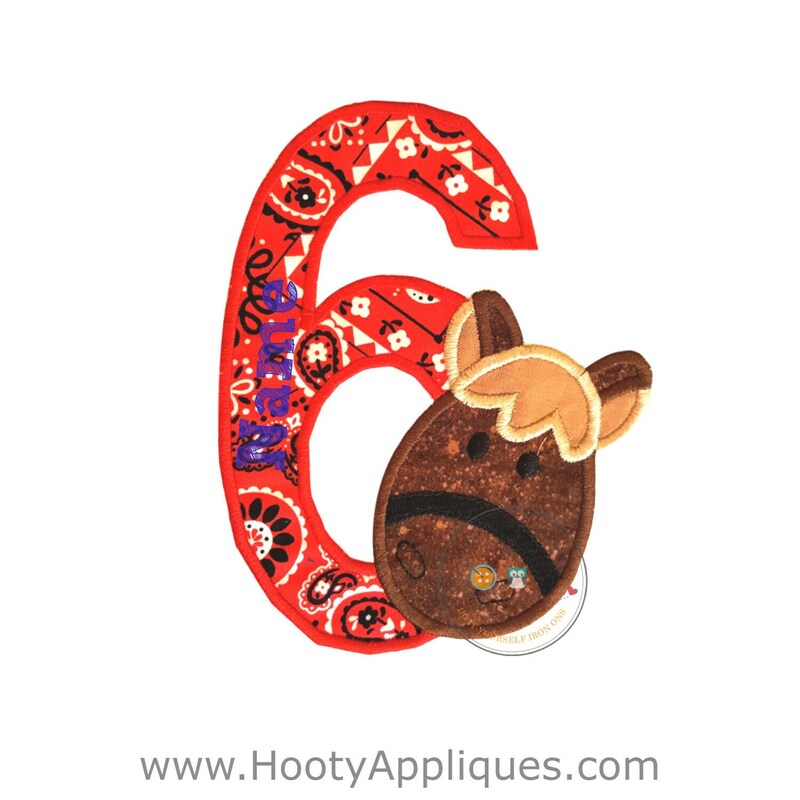 The number is in red bandana print trimmed in red embroidery thread and a horse's head tilted on the number 6 in brown-speckled cotton fabric with embroidered details and tan mane. 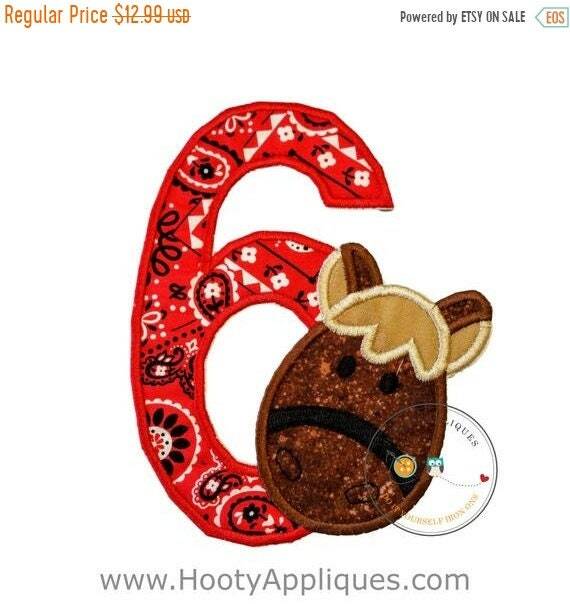 This is perfect for the little farmer or equestrian. 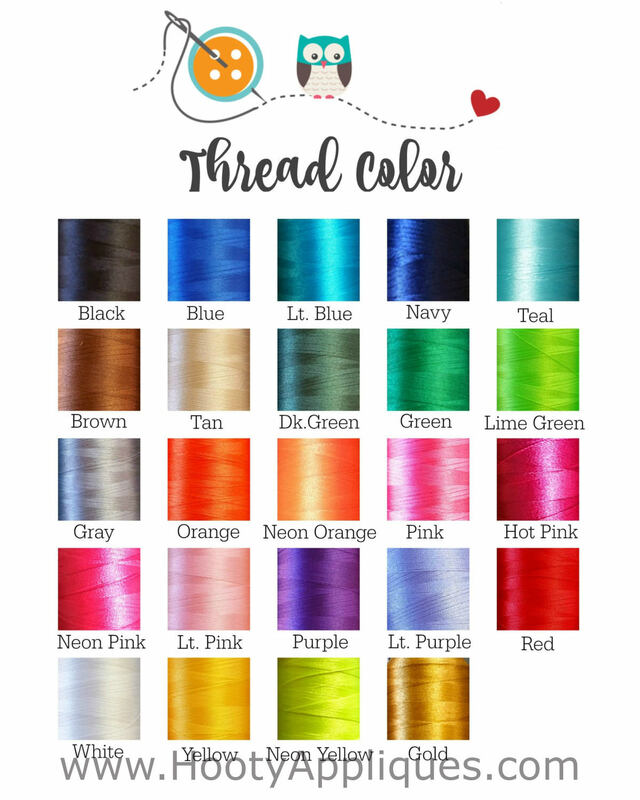 The patch is an easy -to-do project that will add a touch of class to any plain t-shirt or a great embellishment to a vest or jacket. 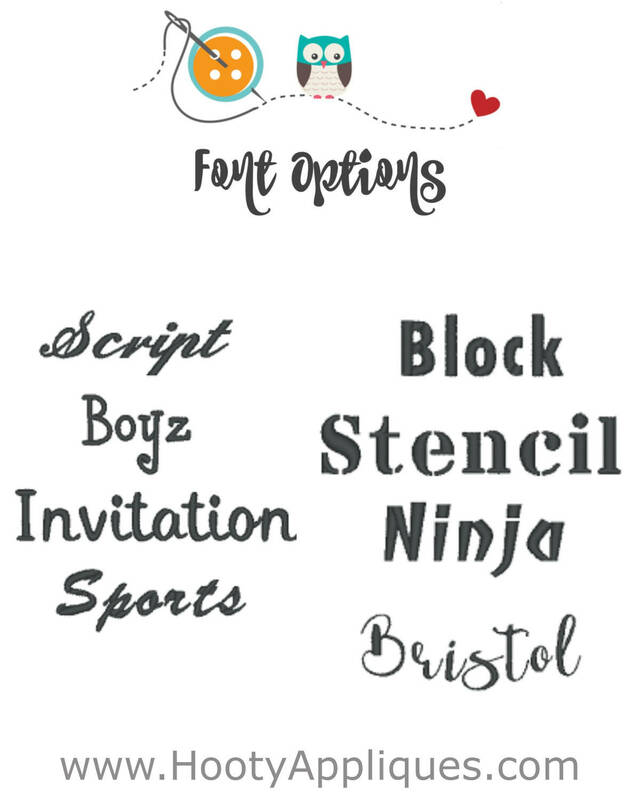 For girls or boys.